Creamy, sweet and easy. 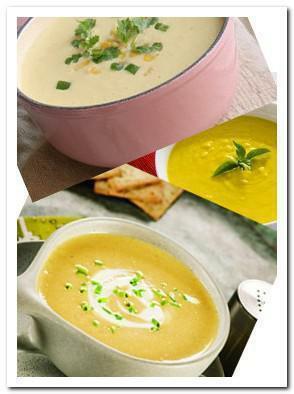 Corn soup always a best option when you are craving for a hearty but easy to prepare meal. Serve with bread or crouton, it is comfortable and no burden for stomach. Melt butter in a saucepan, add onion, garlic. Saute till fragrant, around 2 – 3 minutes, add corn kernel. Saute 5 more minutes. Transfer everything to a blender, add water, puree until everything is smooth. Pour pureed mixture to saucepan, stir in milk, bring to boil. Reduce heat to simmer and stirring occasionally. Cook for around 15 minutes or until the consistency desired. Top with cream cheese, serve warm with bread or crouton.